Small business owners, American dreamers, innovators, entrepreneurs and revolutionaries. No matter what you call them, they’re the lifeblood of the U.S. economy. Here at Lendio, we celebrate these dreamers and doers every day by matching them with more than 75 different lenders to access the capital they need to grow and succeed. Today in honor of National Small Business Week, Lendio announced the Top 10 Best States for Small Business Lending. The list is based on a calculation of several key indicators among thousands of Lendio’s customers from April 2017 to March 2018. They key findings show that not only did demand for small business loans increase significantly in the last year, but business owners borrowed significantly larger amounts to help grow their operations. This year’s number one state was literally too close to call; it’s a tie between California and Utah. California represents 14% of America’s entire GDP, and the state is home to almost 15% of the total U.S. population. California’s economy is the sixth largest on the planet, coming in just behind the United Kingdom at $2.6 trillion. Many of the world’s largest companies are located in California, including Chevron, Apple, Google, Intel, and Wells Fargo & Company. 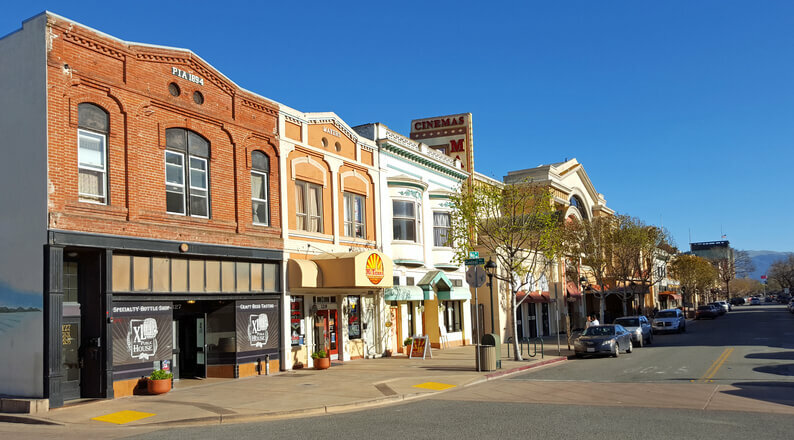 While Silicon Valley has a huge economic impact on central California and the state as a whole, the Golden State is also a thriving hub for small businesses, from manufacturing firms to food trucks. Despite its number one rank, California certainly is not a perfect nirvana for business owners. A complicated tax code and an undeniably high cost of living inflate the price of doing business in the state. But California’s business ecosystem continues to overcome these obstacles to thrive year in and year out. In the last three years, venture capitalists have poured more than $110 billion into California-based businesses. That is five times more than any other state in the union. The world of small business lending looks as bright and diverse as California business owners themselves. Online lenders and lending marketplaces provide new avenues for growth, and venture capital is no longer the only fuel for small business engines. California is the birthplace of McDonalds. 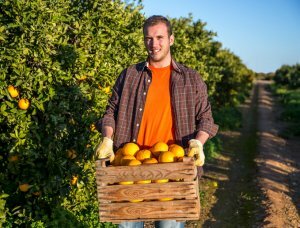 California grows half of all fruits and vegetables consumed in the U.S. The state motto is one word “Eureka!” which is a cry of joy or satisfaction when one discovers something. Lendio franchises located in Anaheim and San Diego are making it even easier for California’s small businesses to gain access to the funding they need. Utah ties with California for this year’s number one spot, and this is no surprise. Utah has been named by Forbes magazine as the number one state for business in 6 of the last 7 years. Utah ranks especially high among business owners when it comes to quality of life, infrastructure, cost of doing business, economy, and quality of workforce. The startup culture in Utah is second to none. The innovation and tech prestige of California’s Silicon Valley has started a to migrate to the area around Salt Lake City, often referred to as Silicon Slopes. Utah’s flourishing tech sector includes companies like Qualtrics, Pluralsight, Domo and InsideSales. The state is poised on the brink of record growth and innovation in the coming years. Rainbow Bridge in Utah is the world’s largest natural rock span. It stands 278 feet wide and 309 feet high. 14 Alpine ski resorts operate in Utah. Because of the state’s inland location, Utah’s snow is unusually dry earning it the reputation of having the world’s greatest powder. 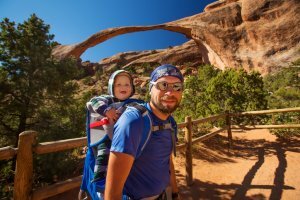 Utah is home to five national parks: Arches, Canyonlands, Zion, Bryce, and Capitol Reef. A Lendio franchise located in South Jordan is making it even easier for Utah’s small businesses to gain access to the funding they need. Read about how one Utah business owner has created a brand that inspires customers to want more, do more, and be more. The number two state on the list is home to some of the world’s biggest and most successful corporations. Global innovators like Amazon, Microsoft, Costco, and Boeing have come out of Washington, and the state’s business climate and innovative culture continues to spark big win after big win. Venture capitalists love Washington so much they spent $4.6 billion last year in an effort to fund the state’s next success story. 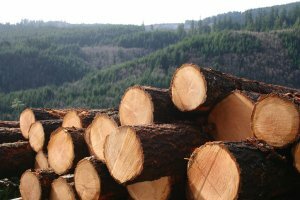 Washington’s snow-capped peaks and rugged coastline create breathtaking views, and its evergreen forests provide for a massive lumber production industry. Washington is about as business-friendly as a state can get, but because of the competitive atmosphere, early-stage companies may find it hard to compete for investors and access to capital. The oldest operating gas station in the United States is in Zillah, Washington. Lendio franchises located in Spokane and Seattle are making it even easier for Washington’s small businesses to gain access to the funding they need. Read about why a Seattle-based contractor said goodbye to a high tech career and hello to small business ownership.